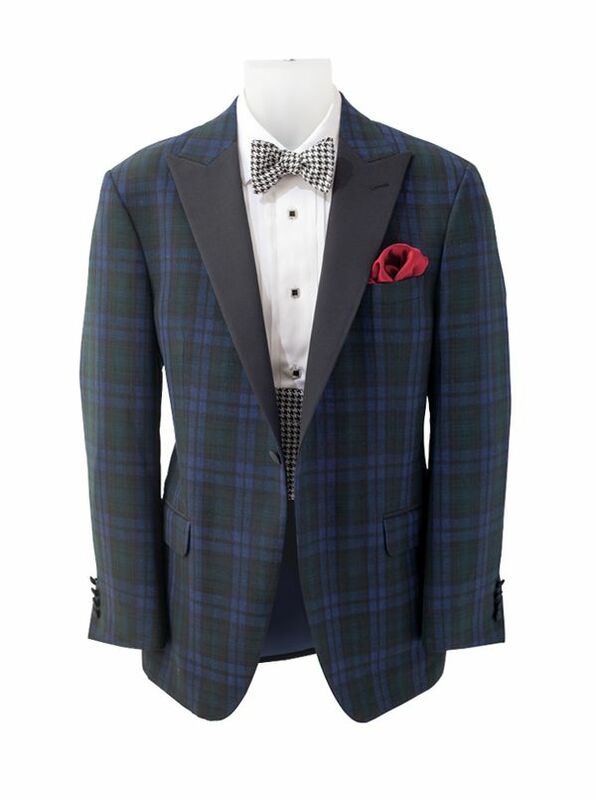 Tartan Dinner Jacket for a spark of style amidst the formality. Tailored in Canada of 100% wool woven in Italy, with black grosgrain lapels, full lining, side vents. Classic 1-button model.